Jeff Quinn might still have some things to prove to Notre Dame fans, but any questions they had about his ability to recruit have already been put to rest. 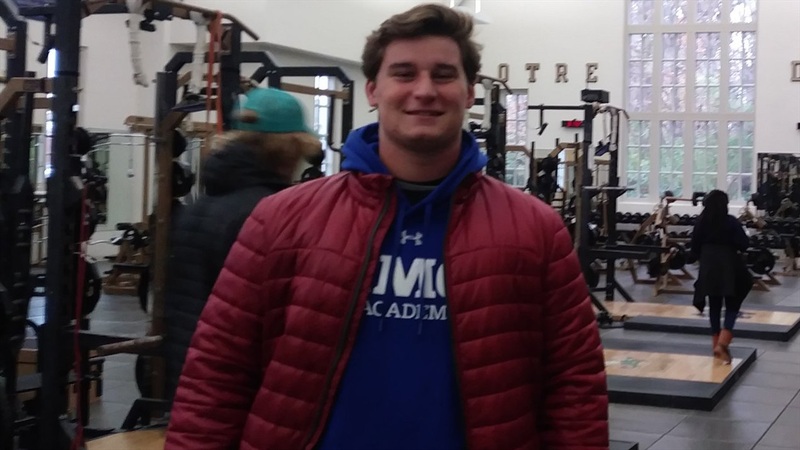 He just helped land another big time offensive line recruit in the 2021 class and it’s a player that held early offers from Ohio State, Alabama, and Michigan. Greg Crippen‍ still has two more years before he’ll be a student-athlete at Notre Dame and he’ll need that time to physically develop. But he’s already way ahead of the curve with his technique as an offensive lineman. This is a well-coached player who’s on track to be an elite prospect by the time he plays college football. It’s funny to watch Crippen’s sophomore film compared to some of 2020 prospects Notre Dame has offered and see how Crippen is more advanced with his technique than most of them. Especially in pass protection. As I mentioned, it’s obvious he is well-coached. It shows in his efficiency with his footwork and the balance he plays with. This is a terrific example of that with him reacting and staying in front of the spin move from the defensive tackle. I like his punch and when he misses it, he’s not over aggressive so he can recover. He has solid power out of his stance and shows the ability to move defenders off the ball. That’s always good to see, but seeing him make every type of block that he’ll have to make at the next level is even more important. He can work the double team and scrape to get a linebacker because he has the awareness to move to the block when it’s time to do so. Having an agile player at guard is critically important in this offense with the amount of pin and pull Notre Dame runs up front and Crippen fits perfectly into that. He’s a good athlete who can be a weapon as a puller for the Irish. I’d like to see him sustain his block more consistently. He’ll get good body position, but then will give it up. He needs more finish in his game and a little bit more edge to play through the whistle. He can pop up out of his stance at times and needs to learn to adjust his pad level when rising up too much. Crippen is a very good player who plays against very good competition. Now we’ll get the chance to see if he can take the next step to become a dominant player against that competition. It’s pretty clear he is a “skinny” 270 and has quite a bit of work to do physically before getting to college. Hopefully gaining the weight and strength naturally over the next couple of years will help him show more physical dominance at the point of attack. If that happens, then the sky is the limit for him as an athletic guard at the next level. It’s going to be exciting to watch him continue to build on his technique as well. As long as he physically develops like he should, he has the potential to be a multi-year starter at guard for the Irish.